We are proud to announce that Kenneth Krajewski, Renata Kowalczuk, Donald B. Eppers, and Andrew Merrick were selected as Super Lawyers for 2016. Jessica Burgasser was selected as a Rising Star. Inclusion in Super Lawyers is based on a rigorous, multi-step selection process, which includes background and experience as well as peer review recommendation. 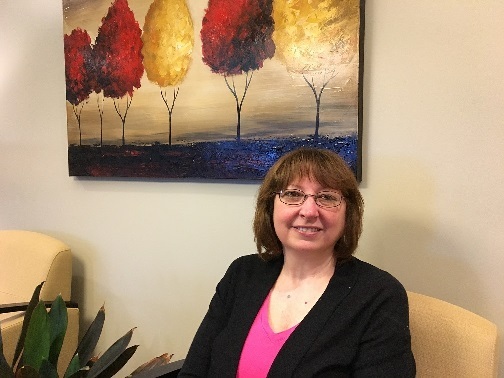 Jacquelyn (Jackie) Baumann, Administrative/Legal Assistant to one of the Managing Partners and the Senior Trial Attorney, has been employed with Brown & Kelly for 33 years. In her spare time, she likes to play general/music trivia with her husband, Bob; gardening; baking; reading/watching Jane Austin fiction; Adventure fiction and Adult Science fiction; and enjoys the company of people who have a good sense of humor and can make her laugh. 1. My sister and I share a birthday but are 6 years apart in age. 2. I was named after Ms. America 1963, Jacquelyn Mayer. 3. I went to Bryant & Stratton with the intention of studying Travel and Tourism to become a travel agent, but changed my mind at the last minute. 4. A few of my favorite travel destinations have been: Hawaii, England, Jamaica, St. Maarten, St. Thomas, Cayman Islands and will be traveling to Alaska in the near future. 5. Bucket List Item: A 2 week Viking River Cruise through Europe. 7. Favorite things about living in Buffalo are: summer festivals, Shakespeare in Delaware Park, the Transit Drive-In, and the fall colors. 8. Favorite cocktail: BBC/Havanas and Bananas at Margaritaville. 9. Favorite restaurant: P.F. Chang’s. Donna Fial is the Office Coordinator at Brown & Kelly LLP. Donna has a diversified role in the office and no day is like any other. Her duties include (but are not limited to): overseeing the filing system, opening and closing files, reception coverage, filing documents with the various courts, making general deliveries, monitoring and ordering office and kitchen supplies, making copies and scanning documents as needed, assisting in the organization of medical records and providing assistance to the Controller/Office Manager. 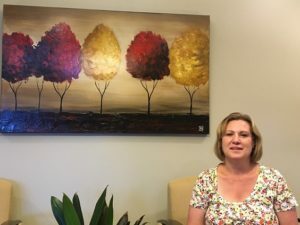 Donna graduated from Villa Maria High School with a Business/Office Studies Major. In her spare time, Mrs. Fial enjoys spending time going to antiques markets with her husband Mark, gardening, reading, and spoiling her dog Lucky. Brown & Kelly is honored to have such a loyal employee as part of its firm, team and family. She is the epitome of dedication. 3. Bucket List Wish? I’d love to get an RV and see the entire United States with my husband. No Thruways or expensive hotels, just the real sites and roads. 10. Least favorite thing about living in Buffalo? Shoveling Snow. 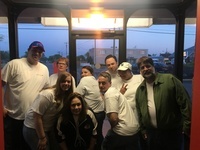 Brown & Kelly participated in the Lawyers for Learning Bowling Tournament May 19, 2016. The Men’s team brought home the Male Team High Series win!!! They had a combined (2 game) score of 1428. Steve Parrish had the high game score of 207. A special thank you to the participants: Sue Yerkey, Paul Yerkey, Dawn Lindner, Dominic Driscoll, Teresa Cleary, Paul Callahan, Bobbie Jo Keller, Jake Keller, Renata Kowalczuk, and Steve Parrish. Congratulations to Managing Partner Kenneth A. Krajewski on becoming Chair of the Torts, Insurance & Compensation Law (TICL) section of the New York State Bar Association. Mr. Krajewski has previously served as TICL’s Vice-Chair and Secretary. 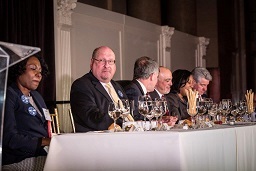 On Wednesday, January 27, 2016, Managing Partner Kenneth A, Krajewski attended the Annual Joint Dinner for the Torts, Insurance & Compensation Law (TICL) and Trial Lawyers sections of the New York State Bar Association. As Vice Chair of TICL, Mr. Krajewski presented the outgoing Chair, Mirna Santiago, with a plaque in recognition of her service to the organization. Pictured left to right TICL Members: Mirna Santiago, Chair; Kenneth A. Krajewski, Vice Chair; Brendan Baynes, Treasurer; Gary Cusano, Annual Meeting Co-Chair; Leslie McMillan, Annual Meeting Co-Chair; and Rob Coughlin, Immediate Past Chair. Partner Kristen B. Degnan and Attorney Bryan E. Dolin presented at the Buffalo Claims Association Education Day on No-Fault and conducted a mock arbitration for the membership. We are pleased to announce that Paul J. Callahan has joined Brown & Kelly as a partner. We are pleased to announce that Kristen B. Degnan has been named a Partner. We are proud to announce that Kenneth Krajewski, Renata Kowalczuk, Donald B. Eppers, Jessica Burgasser, and Kristen B. Degnan were selected as Super Lawyers 2015. Inclusion in Super Lawyers is based on a rigorous, multi-step selection process, which includes background and experience as well as peer review recommendation.